Growth factors from your own blood to restore hair. PRP is an exciting alternative, non-surgical procedure for men and women who are experiencing hair loss on the scalp or eyebrows. PRP has been a successful procedure for tissue and wound healing throughout the body and has also been proven to be a beneficial alternative for treatment of hair loss. 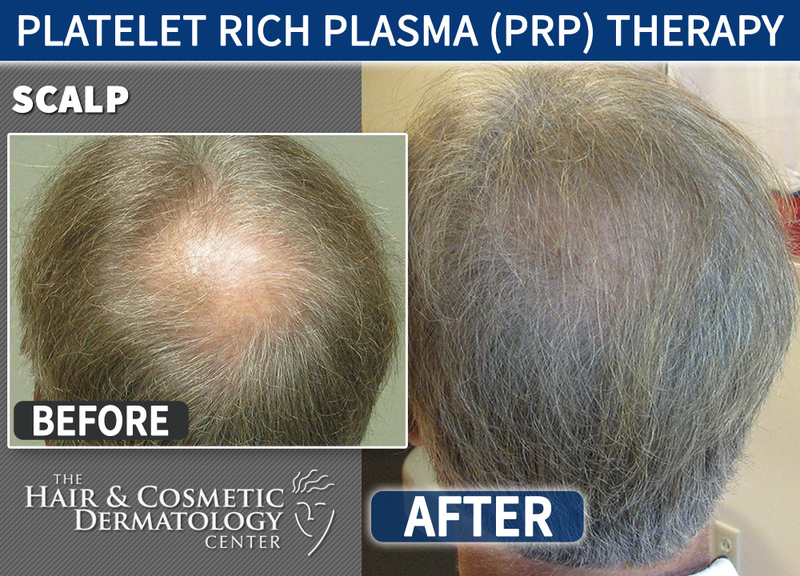 PRP is an all-natural, bio-identical autologous procedure in which the platelet rich plasma used to stimulate hair growth comes from your own blood. PRP is effective because Platelet Rich Plasma contains specific growth factors which, when injected back into an area of hair loss, stimulates hair follicle stem cells promoting new hair growth. PRP contains special cells called Platelets, that can theoretically cause growth of the hair follicles by stimulating the stem cells and other cells in the microenvironment of the hair follicle. These special Platelet cells accelerate the cellular growth of miniaturized hairs. The primary purpose of using PRP in hair restoration is to stimulate inactive or newly implanted hair follicles into an active growth phase. Blood is taken from the patient, similar to a routine blood test. The blood is then spun in a centrifuge that separates the Platelet Rich Plasma from the rest of the blood. A natural activator is blended with the PRP to stimulate the release of growth factors from the platelets. The patient is then given anesthesia where the PRP is to be injected. This non-surgical treatment involves a non-invasive time manageable process with promising results. Individual results vary with each patient. No guarantees of success can be made but preliminary studies indicate patients can respond to PRP therapy. Our protocol consists of a series of 3 PRP treatments, with each treatment being 5-6 weeks apart. Before each treatment, follicular scans and clinical photos will be taken to track progress. We also offer single PRP treatments for patients. 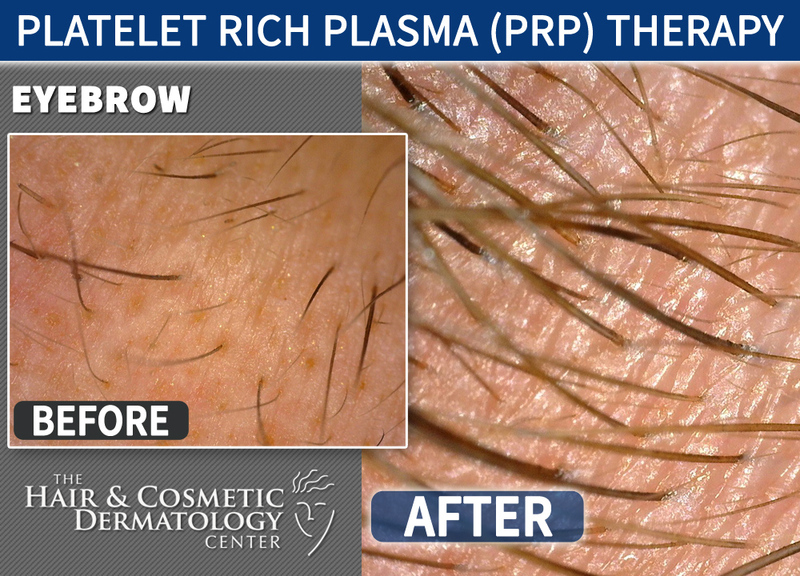 PRP is safe because it is a bioidentical autologous treatment, meaning we are using your own Platelet Rich Plasma. Allergic or other reactions associated with the application of local anesthetic, if required, is possible. Absolutely! As a non-surgical treatment option, we recommend PRP therapy along with RX Systems PF Hair Kit, Minoxidil, DHT blockers, Low Level Laser Light Therapy and other appropriate medications. In summary, PRP therapy offers the opportunity for hair growth for those patients wanting a more aggressive nonsurgical approach to treatment. If you are looking for additional hair growth stimulation with PRP, we are able to meet your needs.